2 Bedroom Apartment To Rent in London for £14,300 per Calendar Month (Calculated). 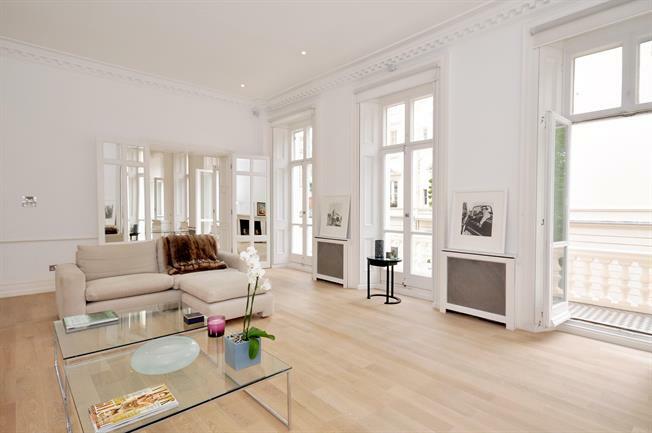 A stunning light and spacious two bedroom lateral apartment on the first floor of this well maintained building in the heart of Belgravia. The apartment is over 1500 sq ft and comprises spacious reception, kitchen with space for dining, balconies off the kitchen and reception, master bedroom with en suite, further bedroom and shower room. the apartment has been recently refurnished and offers high ceilings and a luxury finish. Eaton Square is located moments from the International shops and restaurants of Sloane Square and Knightsbridge including Harrods, Harvey Nichols, Mosimann's and Zafferano.